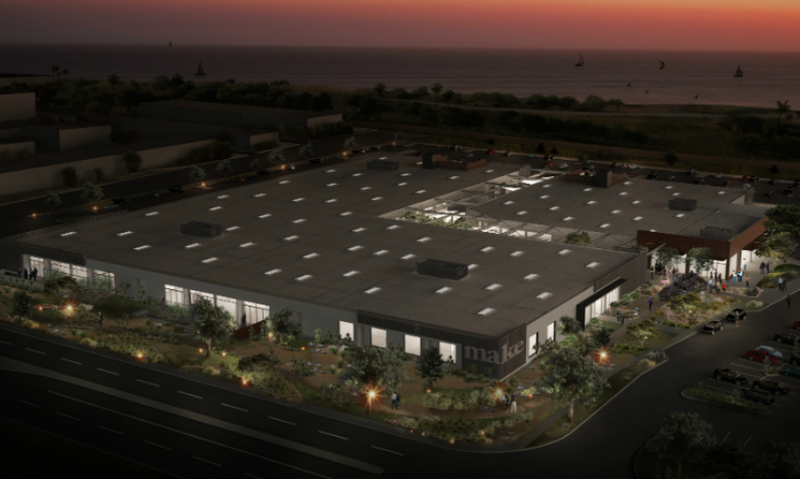 Make is a new co-working space opening this summer in San Diego. It's located in a converted 175,000-sq.-ft. floral warehouse near the beach. Rapt Studio worked with developer Cruzan to create a unique branded environment. An L-shaped cut in the center of the building is a common breezeway where tenants will gather for social events. Tenants will gather around a barbecue pit and watch movies projected onto an outdoor screen in an amphitheater. 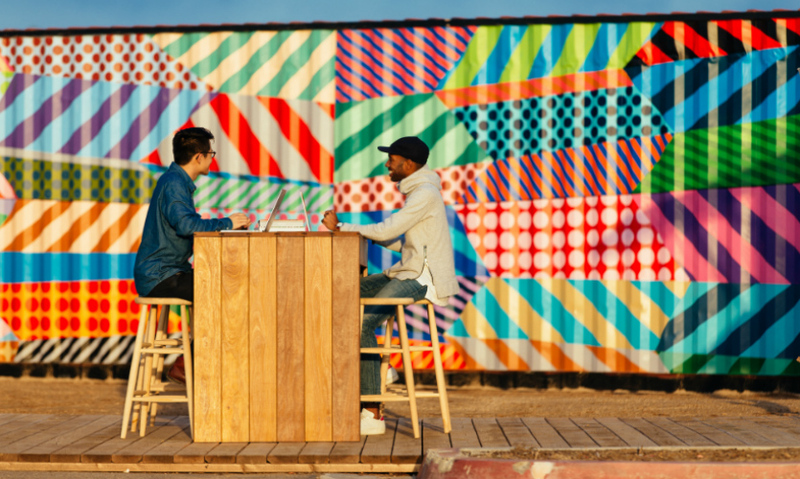 A vibrant mural by artist Jason Woodside adds a unique identity to shipping containers used as a temporary sales office and showroom. 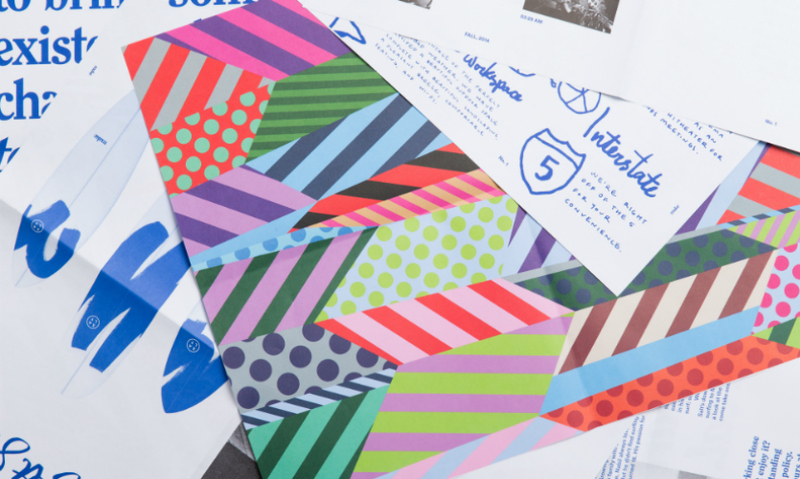 The mural also became the foundation for sales and marketing materials. 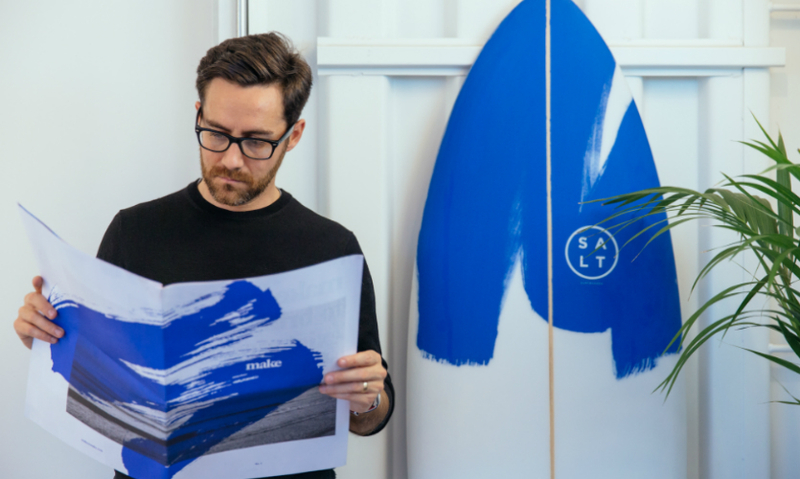 Custom surfboard designs are also a part of the brand identity. 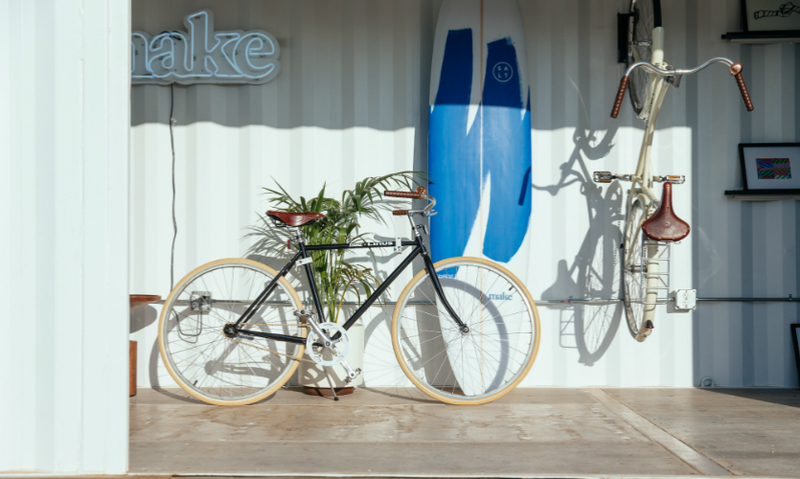 On-site surfboard and bike rentals are part of Make’s amenities package. The beach is a five-minute bike ride away. Rapt Studio creates a co-working space, California style. Co-working spaces are popping up all over the world, social and creative hubs for people who want to get out of their basements and into a professional workspace but don’t want to take on the costs of rent and equipment on their own. In San Diego, they’re doing it surfer style. Make is a 175,000-square-foot workspace in a converted floral trade warehouse. Rapt Studio (San Francisco) came in on the ground floor, working with real estate developer Cruzan to envision a unique space where people will design and make things, from sportswear to software. 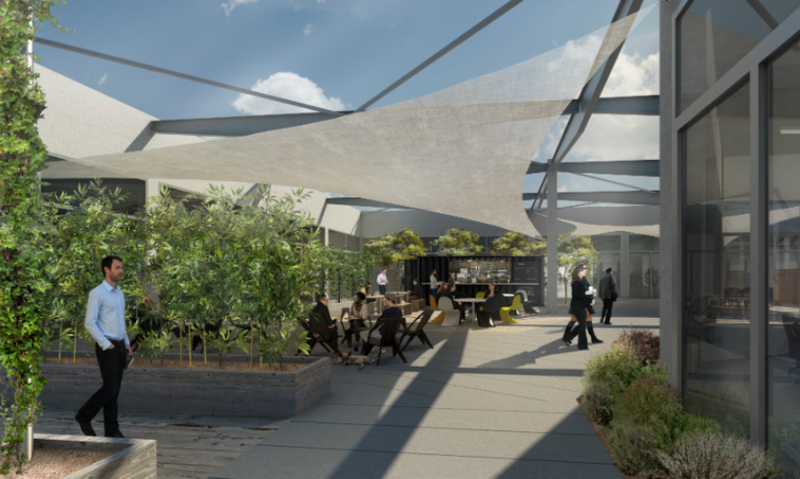 Opening this summer, Make will be home to big and small companies that will come together in a 40-foot-wide, L-shaped breezeway cut out of the interior. 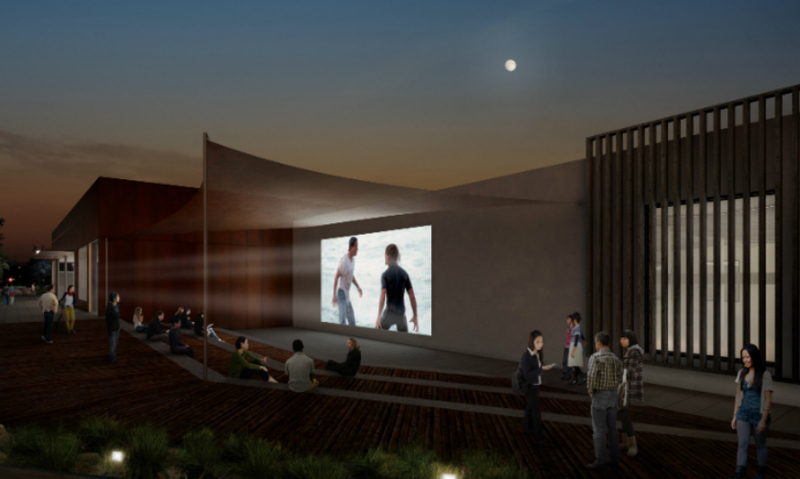 Tenants will gather around a barbecue pit and watch movies projected onto an outdoor screen in an amphitheater. Shuttles will take them to the beach and the Coaster commuter train station. Other amenities will include on-site showers, a gym, and green space. The Rapt design team built the experience from the ground up, including strategy, naming, identity, and architecture. And since this is California after all, the cool factor is high. 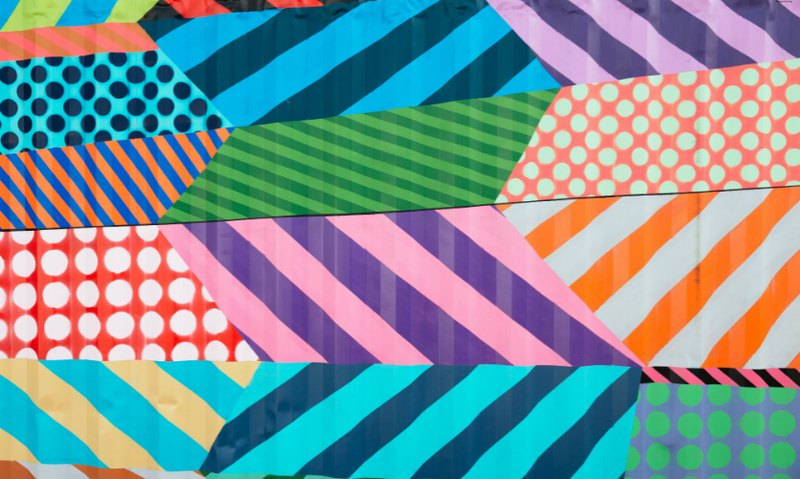 Rapt collaborated with surfboard maker Salt Surf and Linus Bike to provide rental equipment that will be available to tenants (the beach is just a five-minute bike ride away), and commissioned artist Jason Woodside to paint a vibrant mural. 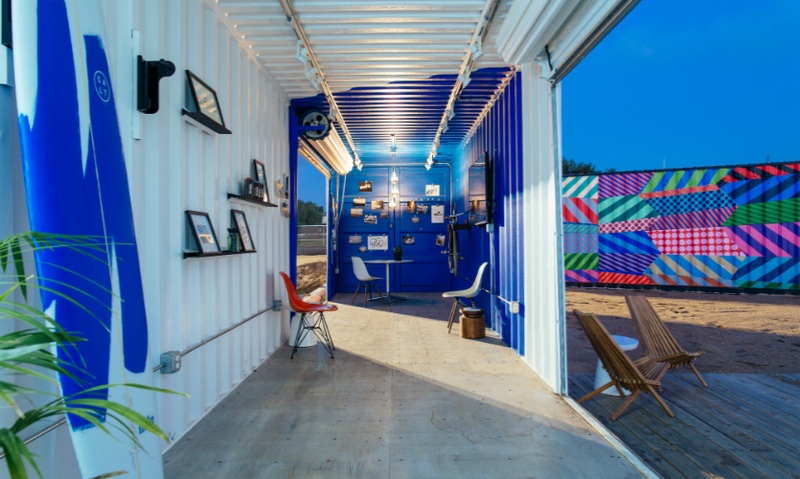 While the building is undergoing renovation, a temporary sales office/showroom is set up in repurposed shipping containers. 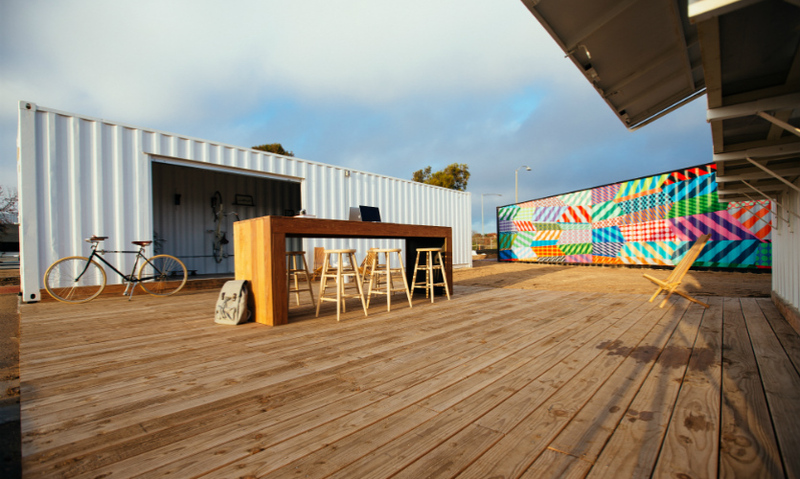 The containers will also be incorporated into the final build, used for the café and bike and surfboard rental outpost. Project Area: 175,000 sq. ft.
>>Be an Xplorer! 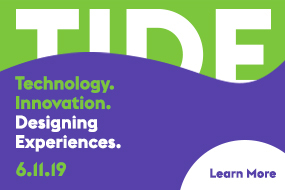 Find more great content in your area of interest in SEGD's Xplore Experiential Graphic Designindex.